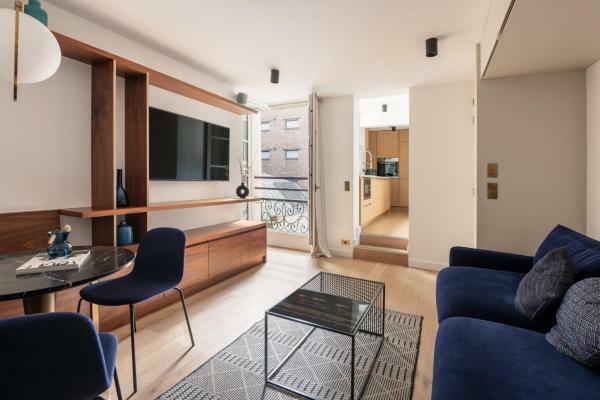 Set in Paris, within 300 metres of Orsay Museum and a 6-minute walk of Tuileries Garden, Apartments in saint germain des près offers accommodation with free Wi-Fi. 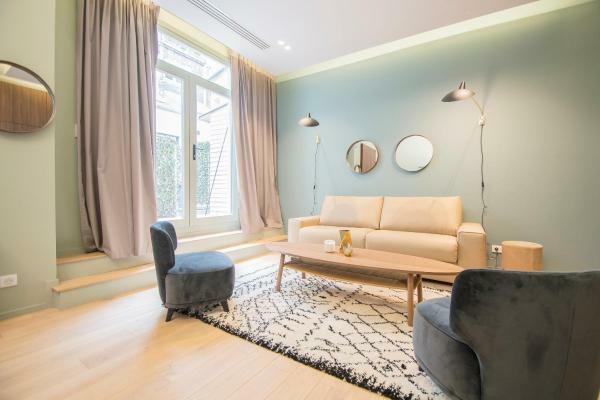 Located 1.8 km from Eiffel Tower and 1.9 km from Orsay Museum, Parisian Chic Apartment for 6 Invalides Breteuil 2 is situated in 15th arr. Of Paris. The accommodation features free Wi-Fi. Hotel des Carmes is set in Paris, 500 metres from Notre Dame Cathedral. Located 350 metres south of the River Seine, the property is 1.3 km from Pompidou Centre and an 18-minute walk from Louvre Museum. 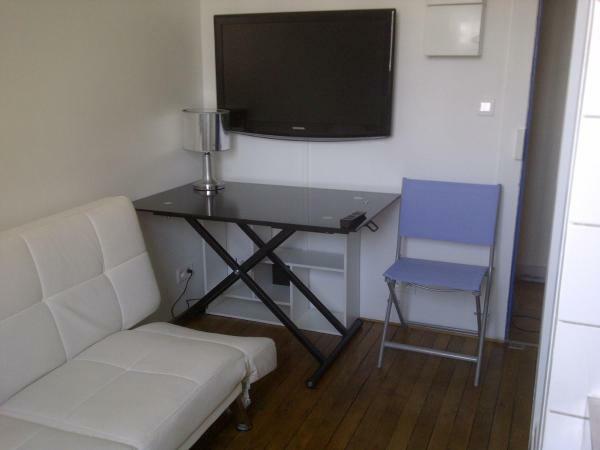 Situated in Paris, Montrouge features self-catering accommodation with a terrace and free Wi-Fi. The property is 3.1 km from Paris Expo - Porte de Versailles. This apartment comes with a kitchen, a seating area, a dining area and a flat-screen TV. Apartment Étoile Kleber is situated in Paris. The property is 700 metres from Arc de Triomphe and 1.2 km from Eiffel Tower. Le Jardin de Rochegrosse is a self-catering apartment is located in an elegant private mansion and offers a garden where guests can relax. Champs Elysées - Lincoln Appartements is located in the 8th arr. District of Paris, 700 metres from Arc de Triomphe and 1.5 km from Eiffel Tower. Free Wi-Fi is offered. The units have a fully equipped kitchen with a fridge and a stovetop. Located in the 16th arr. 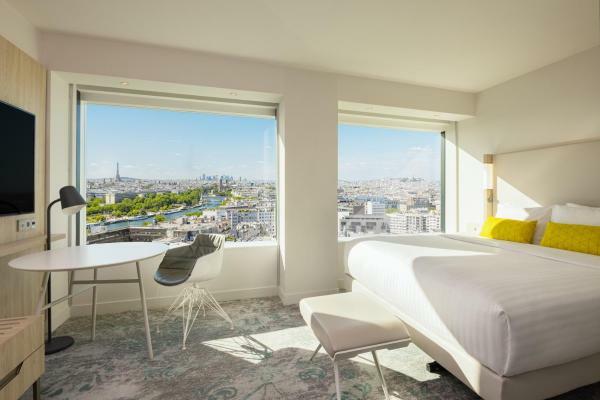 District of Paris, Single room Etoile Victor Hugo is 400 metres from Arc de Triomphe and a 12-minute walk from Palais des Congrès de Paris. All rooms boast a kitchenette and a private bathroom. Eiffel Tower is 1.5 km away. Hotel Rivoli is situated in the Marais district of Paris, 400 metres from the Pompidou Centre, and provides free Wi-Fi. 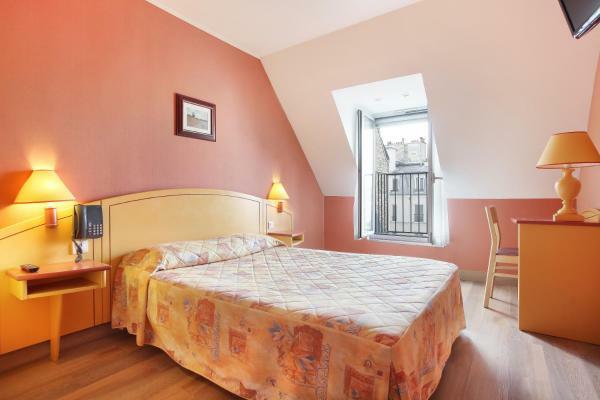 The property is located 600 metres from Notre Dame Cathedral. At the hotel, the rooms are equipped with a desk and a wardrobe. 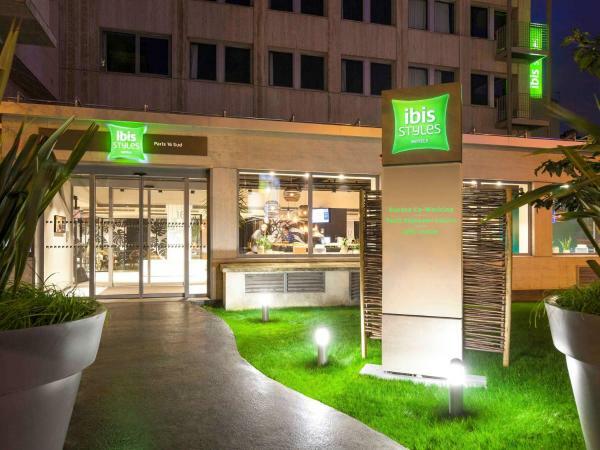 Set within a 6-minute walk of Parc des Princes and 2.6 km of Paris Expo - Porte de Versailles, ibis Styles Paris 16 Boulogne features rooms with air conditioning and a private bathroom in Paris. Artisan Lofts Paris close Eiffel Tower is a self-catering accommodation located in Paris. Free Wi-Fi access is available. The property is 900 metres from Paris Expo - Porte de Versailles and 1.9 km from Eiffel Tower. Dreamyflat residence is located in the 2nd arr. 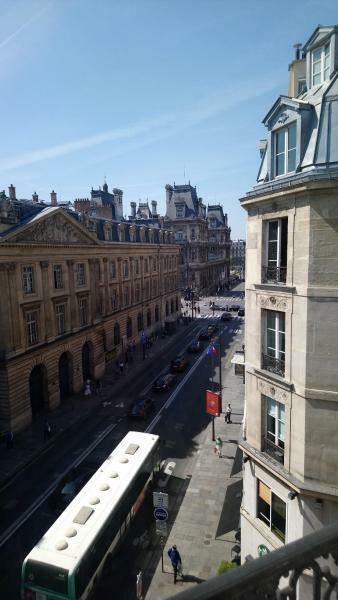 District of Paris, 1.1 km from Opéra Garnier. Free Wi-Fi is offered. Located in Paris, HighStay - rue Saint Honoré Serviced Apartments has accommodation a 6-minute walk from Tuileries Garden. Complimentary Wi-Fi is featured. Courtyard Paris Gare de Lyon is set in the 12th arr. District of Paris, and is 700 metres from Opéra Bastille. Featuring a restaurant, the property also has a fitness centre and a bar. The property is situated 1.8 km from Notre Dame Cathedral. Situated in Paris, within 2.4 km of Sacré-Coeur and 2.7 km of Place de la République, 파리 메르시민박 provides free Wi-Fi. The property is around 2.7 km from La Cigale Concert Hall and 3.7 km from Pompidou Centre. The property is located in the 19th arr.